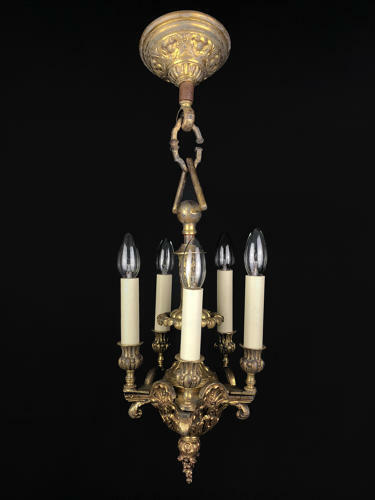 A heavy, gilt bronze six arm chandelier in the Rococo style. The body and arms decorated with scrolling acanthus leaf and vines, with a central column stem. with original ceiling dome and decorative chain. Early 20th century. Height 70cm including ceiling dome and chain.